Do you have a passion for fashion? Have you been inspired by Fashion Week Australia? Are you ready to sell fashion, apparel and clothing online? While you might have great ideas, you will probably need some help to turn your dreams into reality. Let’s explore how seeing that reality come to fruition can be achieved with drop shipping Omni Channels. A small to mid-sized fashion website might not be able to buy in bulk, like the large multinational retailers. You also might not have a large budget to rent warehouse space to store a lot of clothing samples, but your customers still want you to compete with the top fashion brands. 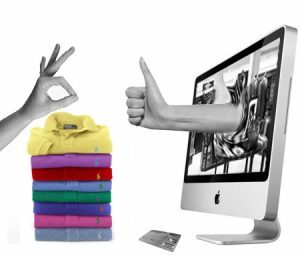 Learn how Australian drop shipping and Omni Channels can fill in the gaps and improve your apparel sales. The Australian eCommerce market is the 10th-largest in the world, according to WebAlive. The IBIS World Online Shopping in Market Research Report (July 2016) found that Australian eCommerce had an annual growth rate of 16.2% from 2012 to 2015. The Australian eCommerce market was estimated to be around $18 billion for 2015. What do online shoppers want? IBIS found that fastidious shoppers found “unprecedented choice through highly competitive prices” online. They also loved the convenience of shopping from home using their smart phones or computers. 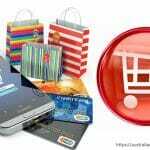 Therefore, consumers list these advantages as the primary reasons for shopping online: 1. Affordability, 2. Selection and 3. Convenience. How can your apparel website profit from this knowledge? How can you compete online? So, how can you leverage your strengths and knowledge into healthy profits? The reality is that it is very difficult for small firms to compete with the top global eTailers on price alone. Drop shipping and Omni Channels fill in the gaps, allowing you to compete with larger corporations by creating a better, more personalized shopping experience. The primary ways that a small retailer can keep its prices low are 1. Low Overhead and 2. Cheap Wholesalers. Drop shipping Omni Channels can help you with low overhead because you don’t need to rent an expensive warehouse; your wholesaler can handle that. And with Omni Channels, you can add the cheapest wholesalers. 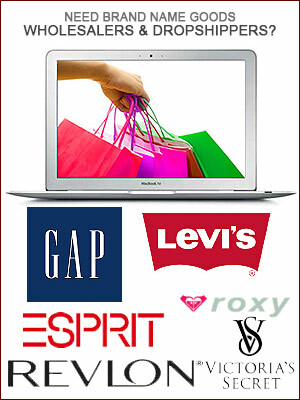 This allows you to offer the best deals on clothing. Of course, clothing is a necessity. Perhaps, you make great clothes yourself, by selling them online, you can fill an important fashion niche for premium “hand-made” apparel. You can also try out the wares of the top fashion designers. The beauty of the World Wide Web, is that you can reach people in Melbourne, Sydney, Woolloomooloo, Paris, Rome, London or Tokyo. Your Omni Channels allow you to add an assortment, selection and variety to your basic product line from Australian wholesalers or foreign wholesalers. Drop shipping gives you Omni Channel flexibility, versatility and scalability. Some consumers will want to “mix-and-match” the “hottest” brands to see which ones look best together. 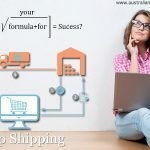 Australian dropshipping allows you to offer this broader product line. Of course, seasonal fashion is a foundation of the business. With dropshipping, you don’t need to worry about being stuck with summer clothing in the winter time. Your wholesaler can deal with last season’s apparel and discontinued lines. You also might discover that one wholesaler is very good with spring apparel and another is better with fall apparel. Omni Channels allow you to change your product line, more efficiently. 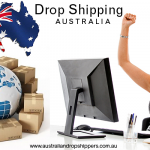 Australian dropshippers are able to add clothing and accessories from different brands or geographical locations. There are millions of websites out there and it can be a challenge to stand out from the World Wide Web crowd. Web surfers are a fickle bunch and they can easily find a competitor with one click. Being noticed is one of the key requirements for successful eCommerce. Modern buyers understand that you can’t really beat, being able to purchase anything, anytime from anywhere using your smart phone. You can peruse the latest fashion offerings of Sydney, Paris, Milan or Rio from the convenience of your own home. After you see your favorite actress on the red carpet, you might want to go online to purchase the very same dress, she was wearing. When you are searching for a way for your online store to stand out – superior customer care is a sure winner. Your clients will want personal customer service with fast responses. Drop shipping allows you to fully concentrate on serving your customer through all phases of the sales process. Why are you running a clothing (or apparel) business online? You are most likely going to have a special flair for fashion and “eye for beauty.” You will need to decide which market niche you want to specialize in – runway, jet set, luxury, street, evening wear, maternity or other. Why should customers choose your eCommerce site over others? What is your core competency? What is the most efficient usage of your limited time, each day? In which areas, do I need assistance? The ideal Omni Channel user experience is like the perfect runway performance. Behind the scenes, the models are clothed in the most beautiful fabrics and have makeup professionals complete the look. The audience only sees the finished product – when the beautiful super models strut their stuff. The drop ship Omni Channel can establish synchronization between your front and back end where the customer only sees a cohesive “alignment of pricing, messages and goals” across all channels and devices. Smart phone users will simply assume that you have a mobile connection. Customers will simply assume you take all payment types. Drop Shipping storefront software allows you to demonstrate your creative flair in displaying merchandise and writing eloquent descriptions. Set up your graphical user interface (GUI), shopping cart and payment systems with ease. Be creative – you can avoid drab, boring advertisements and add your own personal touch to establish your brand differentiation. When you are a subject matter expert (SME), customers are more likely to be willing to pay a premium for your wares. This creates goodwill, trust and authority. The best sales professionals can translate these communications, interactions and relationships into profits. That is how small fashion boutiques succeed. 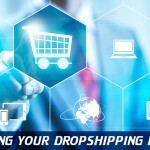 If you need help with getting your first eCommerce store up and running, or simply want to update your outdated design, check out DropShip Carts, a boutique creative agency that is currently making headlines globally for developing affordable and highly effective Ecommerce stores for Australian, American and UK Based retailers. When you can choose to establish Omni Channels with a variety of Australian wholesalers, you can offer fashion suggestions more easily. Your customers might simply ask for suggestions on complementary colors, styles or accessories. The best fashion experts understand their customers’ feelings and find exactly the right clothing item to satisfy their needs. If you are selling a beautiful blouse, then you should be able to suggest which scarf would look best with it. If your customer asks about the latest fashion accessory, you can easily get it from your wholesaler when you drop ship. If you don’t have it linked today, you can tell your customer that it will be uploaded in a week. Drop ship adds flexibility in satisfying your customer’s needs. Collecting data via customer relationship management (CRM) software, allows your sales staff to review client’s previous purchases and preferences. Thereafter, you can anticipate, respond and transform questions into upselling opportunities. Omni Channeling gives you the flexibility to tailor customized solutions to each client. Setting up an online store has never been easier. Customers don’t want to see the nails, screws, nuts and bolts holding your structure together. Dropshipping allows you to create a finished, seamless customer experience for your store front and allows you to manage the back end logistics, without your customer seeing it. You can add inventory, process payments and ship directly from your clothing wholesaler with Australian drop shipping software. With drop shipping, you can leverage the best elements of eCommerce and optimize your core competency. With all of these “loose ends” integrated on the back end of the Drop Shop software, your customer can concentrate on a delightful shopping experience. Just like the best runway performance, you want to leave the customers happy, so they give you a standing ovation and complete the sale. Modern eCommerce is not done with the sale. Of course, you have the shipping, payment and follow-up. 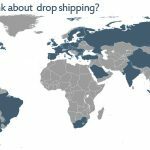 Drop shipping has you covered in all of these areas. You can check your inventory, send invoices and ship the products directly from your Australian wholesalers, using your drop ship software. Your payment systems can combine or separate invoices, statistics and reports from sales where you have the merchandise on-site or the wholesaler has the merchandise off-site. This integration saves you valuable time and helps you avoid headaches. Drop shipping Omni Channels also include loyalty rewards, email marketing and social media communication. Add coupons, promotions or sales for special merchandise. With the most advanced Drop Ship software, you can run multiple storefronts, using one simple dashboard. The software can also send “Thank You” emails or updates on new products. It is like having your own personal assistant. Drop shipping Omni Channels are a great option for when you want to expand your product line or accessories. One of the dangers is that you might cannibalize your brand if you simply replace sales from old apparel with new apparel. 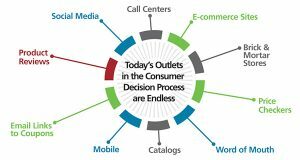 Omni Channels allow you to create, experiment and control the new clothing options to protect your brand’s bottom line. You have the freedom to change your mind with drop ship. Omni Channels allow you to choose an Australian wholesaler or wholesaler from another nation. You may have seen a great new fashion designer on television. Try out their line to see if your customers are interested. You don’t have to waste money on expensive inventory or warehouse rent. The main benefit of choosing clothing and apparel as your niche is that the items can easily be shipped from any country. Shipping is cheap and most importantly if you’re sourcing your items from wholesalers based in America, you will find that their pricing, even for brand name clothing items can be ridiculously cheap, giving you the edge you need to compete against larger retailers. You can also reduce risk with drop ship Omni Channels. If you have only one wholesaler and they have a problem, then it could be a severe disruption. With Omni Channel drop shipping, you always have a back-up. 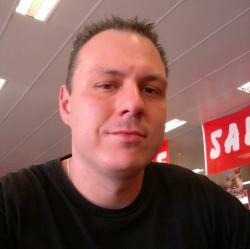 When you venture onto the World Wide Web, you will be expected to be ready to compete with the big boys. Omni-Channel drop ship creates a fully integrated, dynamic shopping experience. Just as a super model cannot complete the runway masterpiece herself, you cannot complete the eCommerce process yourself. Drop ship Omni Channels can help.